Last night saw the latest of one of my Creative Card Making classes, where I was joined by the lovely Jane and Wendy - thanks for coming girls!! I think these classes are going to be a real boon for a lot of people (including me) over the Autumn and Winter; the dark nights are drawing in already, it's getting cold, and it will most definitely keep us all out of trouble over the months to come! 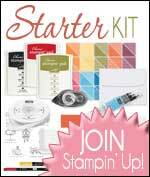 I used the Woodgrain stamp from Stampin' Up! which is both huge and beautiful! - I can see myself using this a lot in the near future; alongside the stamp set which is actually called Autumn Splendor. I used Wild Wasabi cardstock and Beyond the Garden Designer Series Paper and finished it all off with a bit of grosgrain ribbon in Marina Mist. My classes are booking up quickly now, to the point where I am holding 4 a month to accomodate everyone that would like to come! There are still spaces available and the class is only £10.00 so drop me a line if you are interested in coming along.